When hired by families to work one-on-one with their children, our main goals include assessing that child’s strengths, setting him/her up for success, improving whole family dynamics and teaching them beneficial lifelong skills. We truly feel honored to be brought into a family’s home to work with them and find great reward in seeing noticeable improvements as reported in teacher comments, report cards, parent conversations and most importantly the children themselves! See how we can best work with you and your family from our list of services below. Conduct a comprehensive analysis utilizing the results of a detailed questionnaire completed by the student. Determine the child’s individual learning style and sensory preference to allow us to tailor systems to their unique style. Interview the student and the parents at their home. Tour the household to see the student’s bedroom and homework area(s). Conduct further detailed analysis including prior test results, teacher input, previous grades and progress reports. Provide various worksheets and checklists to help student. Provide a notebook to student with customized recommendations, all findings, results, and checklists. Review previous grades and progress reports. Provide a notebook to student with recommendations and checklists. Offered at an hourly rate following either of the Assessments or on an as-needed basis. 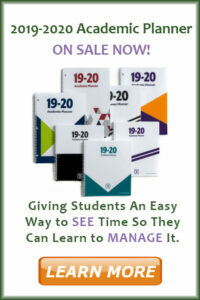 Meet regularly with the student to design and implement unique organizational systems including their notebooks, backpack, bedroom, homework location set up, locker, paper flow and storage, and project and time management. Meet with other family members to ensure commitment to the student’s success. Review the student’s systems with the parents and sharing techniques to enable monitoring and maintenance of the student’s progress. Evaluate the engagement’s immediate success from parents’, teachers’ and student’s feedback. Evaluate the student’s continued improvement upon conclusion of the current grading period as well as at the end of the year. Complete Assessment & Bedroom Organization for up to 3 hours. Bedroom Organization & Customized Student Organizing Training for 6 hours.